Posted by Paranormal Psychology in Alien Activity: Stuff We Wouldn't Believe!!!! !, Science. At around 2:37 p.m. on Feburary 21, 2013 Psychic Tres Mali have a vision of a meterite or comet like object, with a fire tail. It appeared as though it was falling in a direction toward the ground at a far distance. The Smithsonian Magazine has articles that describe and define the current and past comets and meterites that have passed by and fallen to Earth. 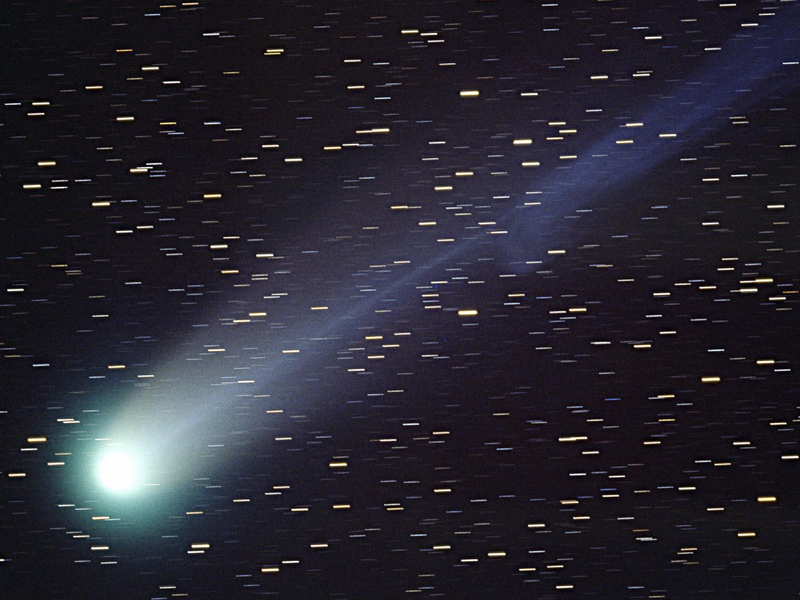 What is a Comet or Meterite? of debris from such sources as asteroids or comets) originating in outer space that survives impact with the Earth’s surface. A meteorite’s size can range from small to extremely large. Most meteorites derive from small astronomical objects called meteoroids, but they are also sometimes produced by impacts of asteroids. When a meteoroid enters the atmosphere, frictional, pressure, and chemical interactions with the atmospheric gasses cause the body to heat up and emit light, thus forming a fireball, also known as a meteor or shooting/falling star. The term bolide refers to either an extraterrestrial body that collides with the Earth, or to an exceptionally bright, fireball-like meteor regardless of whether it ultimately impacts the surface (http://en.wikipedia.org/wiki/Meteorite). I have been surfing online more than three hours today, yet I never found any interesting article like yours. Itâ€™s pretty worth enough for me. In my opinion, if all site owners and bloggers made good content as you did, the net will be a lot more useful than ever before.